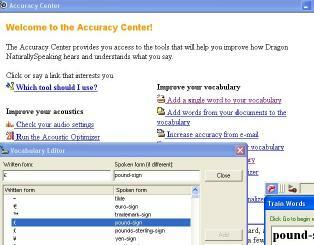 Dragon NaturallySpeaking Preferred gives small business and advanced PC users the power to create documents, reports and emails three times faster than most people type - with up to 99% accuracy. Surf the Web by voice or dictate and edit in Microsoft Word and Excel, Corel WordPerfect, and most other Windows-based applications. Create voice commands to quickly insert blocks of texts or images - such as your name, title, and signature. Create documents, reports and emails three times faster than most people type. ...... for the same great dictation results without the wires. A high-quality headset is included. Qweas is providing links to Dragon Naturally Speaking 10.8 as a courtesy, and makes no representations regarding Dragon Naturally Speaking or any other applications or any information related thereto. Any questions, complaints or claims regarding this application Dragon Naturally Speaking 10.8 must be directed to the appropriate software vendor. You may click the publisher link of Dragon Naturally Speaking on the top of this page to get more details about the vendor.